IHH Healthcare Bhd on Friday extended the validity of its revised offer for Fortis Healthcare Ltd -- yet again -- underlining the Malaysian company’s resolve to expand its India footprint. The development comes within days of TPG Capital-backed Manipal Health Enterprises Pvt. Ltd extending the validity of its revised offer to buy Fortis, indicating that the field for takeover of India’s second-largest hospital chain remains wide open. IHH’s latest offer, which was valid till 29 May, has been extended till 30 June for the Fortis board’s approval, Fortis said in a stock market disclosure. The terms of the latest revised bid remain unchanged and fully valid, it added. IHH has revised its offer for Fortis thrice, most recently on 1 May. IHH has proposed to invest as much as Rs 4,000 crore in Fortis and has previously said it would make an immediate equity infusion at Rs 175 per share. TPG-Manipal’s latest offer promises to invest in Fortis at Rs 180 per share. IHH, which operates more than 10,000 licensed beds across 50 hospitals in 10 countries worldwide through its Parkway, Mount Elizabeth, Gleneagles and Pantai brands, already has a presence in India. India is now its fourth market following the acquisition of Continental as well as Global Hospitals in 2015. IHH has seven hospitals in Chennai, Bengaluru, Hyderabad, Kolkata and Mumbai. Notably, it also appointed Ajay Bakshi, former chief executive of Manipal Health Enterprises, to lead its India operations recently. Bakshi has previously served as chief executive of Max Healthcare, a north India-based hospital chain. Amid extensions by the two bidders, there are growing doubts whether Fortis’s shareholders will approve the board’s decision to select the offer by Munjal-Burman combine. Hero Enterprise is led by chairman Sunil Munjal, part of the family that runs Hero MotoCorp Ltd, India’s biggest two-wheeler maker. The Burman family is the promoter of consumer goods maker Dabur India Ltd. The board decision, made against the opinion of some of its advisors, didn’t go down well with a section of the company’s shareholders. The fresh bidding war also looms large after a dramatic upheaval at the Fortis board. Shareholders on Wednesday voted to remove Brian Tempest as director from the company’s board. Tempest was one of four directors appointed to the board by the Fortis founders, brothers Malvinder and Shivinder Singh. The other three quit over the weekend. Investors Jupiter India Fund and East Bridge Capital had demanded that the four directors quit the board as they had failed to work in the interest of the company’s shareholders while deciding the offers made for the hospital chain. In a separate filing on Thursday, Fortis said it had not received any communication from the market regulator with regard to allegations of insider-trading violations and regulatory lapses. The board now has only four directors. While voting out Tempest, Fortis shareholders also approved the appointment of three new directors — Suvalaxmi Chakraborty, Ravi Rajagopal and Indrajit Banerjee – whose names were recommended by activist investors. The fourth remaining board member is Rohit Bhasin. 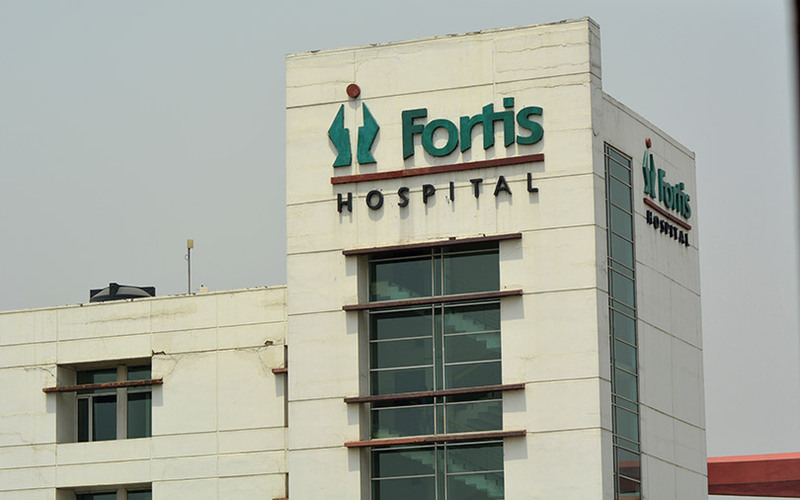 The Fortis takeover saga has seen many twists and turns since the company announced in late March that its board had approved selling its hospital business to Manipal. Since then, IHH, Munjal-Burman, KKR-backed Radiant Life Care and China’s Fosun have also joined the takeover fray. To add to the drama, Fortis’s single-largest shareholder, Yes Bank, has urged the board to consider revised bids for the hospital chain (of Manipal Hospital Enterprises and IHH Healthcare) despite board acceptance of the Munjal-Burman offer, said a report in The Economic Times, citing people in the know. Yes Bank, according to the report, also urged the board to consider inviting those that did not submit or revise their bids.